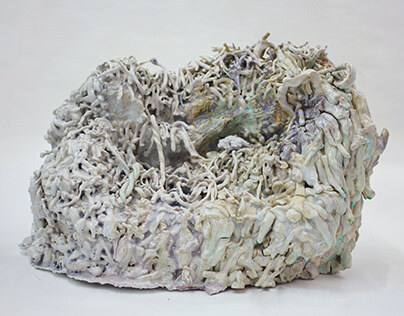 Manson’s work stretches the limits of ceramics, challenging preconceived notions regarding fragility. 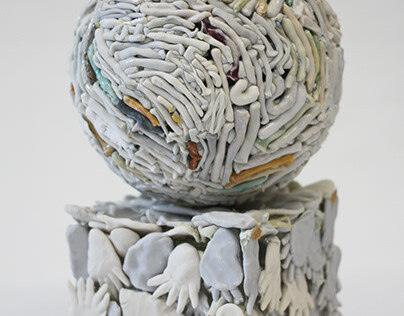 “My work uses ceramics as a metaphor for the individual and societal body,” says Manson. 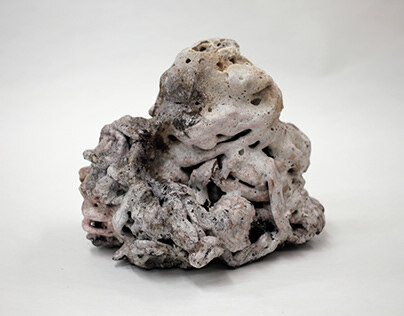 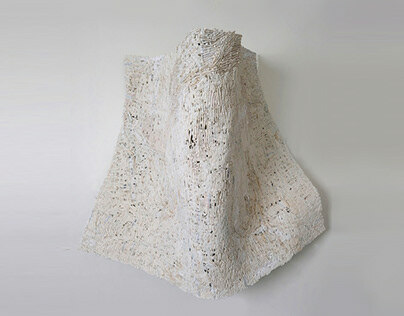 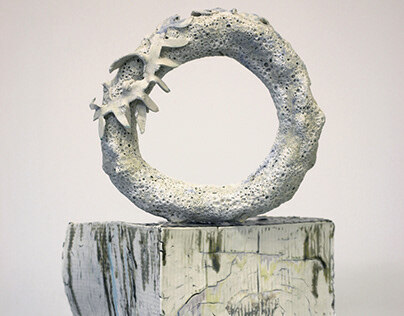 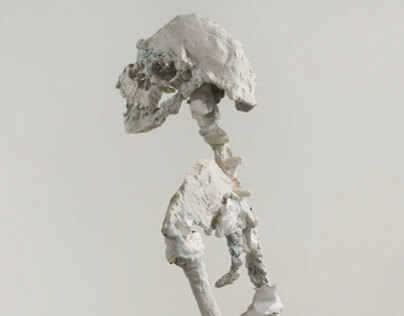 “This sculpture was informed by the process of working with clay, a nature that wants to collapse. 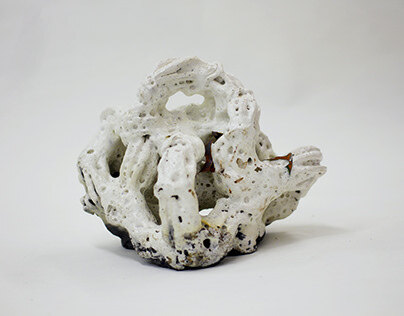 For me, ceramics is tied to personal resilience and rebuilding in the face of adversity.” Through hand building and glaze she explores the body’s connective yet testing relationship to landscape. 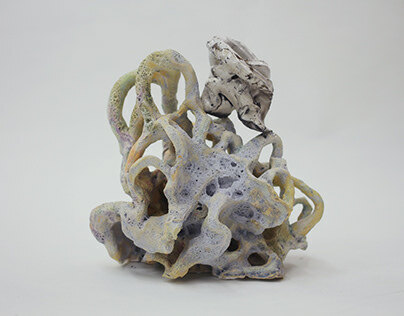 Her work often incorporates tiny porcelain sculptures, each an intimate, bone-like shape, adhered and supported by elaborate systems made of metal and epoxy. 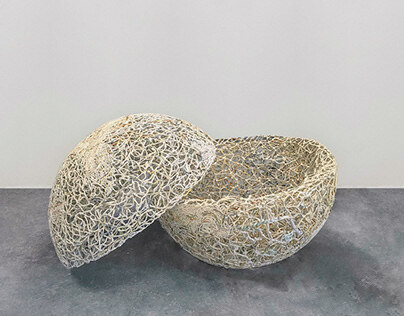 Comprised of innumerable parts which on their own may appear insignificant, the structures celebrate the idea that small things together amount to something impactful. 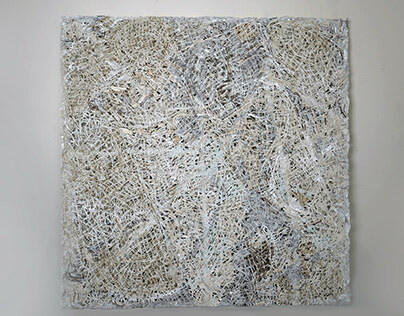 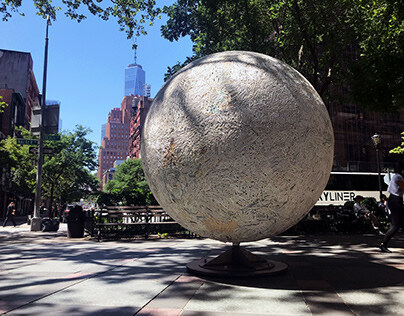 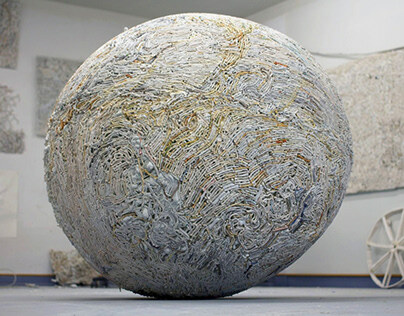 Her spherical works serve to memorialize collective consciousness.